Meet Trimble’s amazing Rapid Positioning System. The all-in-one solution that will replace your tape measure on the job site. 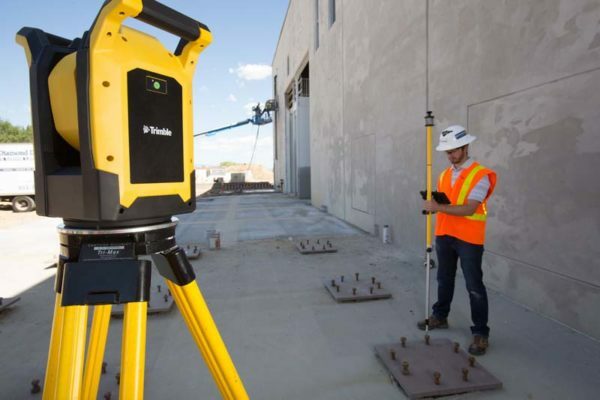 The Trimble RPT600 was created specifically for common layout jobs on the construction site and it’s got everything you need to measure positions faster, more easily, and a high degree of accuracy. Whether your projects are big or small, the Trimble RPT600 puts Trimble quality and accuracy at your fingertips with only the unique features that you need. The Trimble RPT600 does the work for you! It automates the measuring of distances and angles, so it finds positions faster and more accurately than a tape measure. For most building construction jobs, it’s also faster and more efficient than a total station, because it’s specifically designed to make layout projects easy. It doesn’t include features for you to adapt to, or work around…or pay for. The Trimble RPT600 is simple enough for anyone to operate with confidence—its automated functions, one-button setup, and guided workflows are quick to learn. But even though this system is easy to use, it still delivers Trimble quality and accuracy. No matter where the tool is placed, setup is fast and automatic. Set the RPT600 on a tripod or attach it to a stationary element on the worksite. Trimble Autostationing technology lets the system self-locate relative to the project you are working on. No leveling required. Just press the green button! BuildingPoint Midwest & Gulf Coast is a leader in providing technology across the construction industry. Our solutions are designed to make your job sites work more efficiently and accurately, making your company more profitable. If you’d like a FREE demo of the Trimble RPT600 or any of our other technology, contact us today!